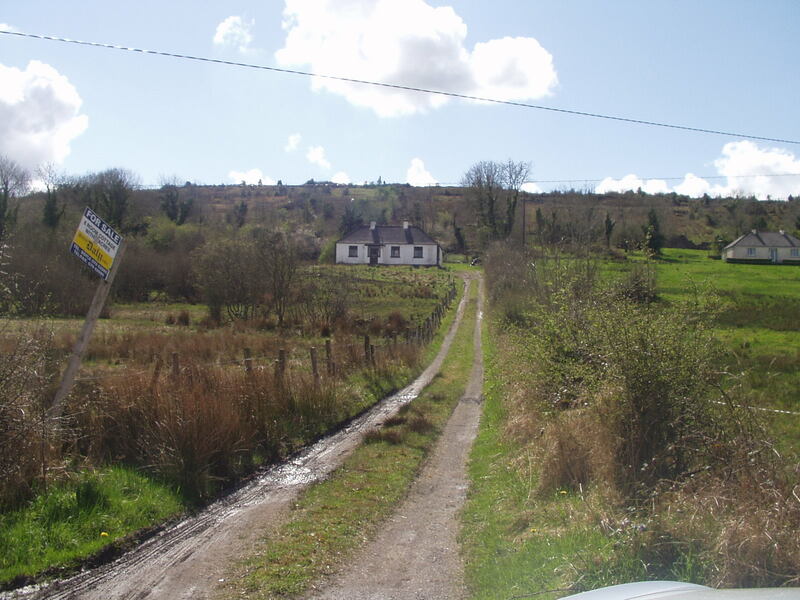 In the beginning, the cottage as I first saw it, May 2004. 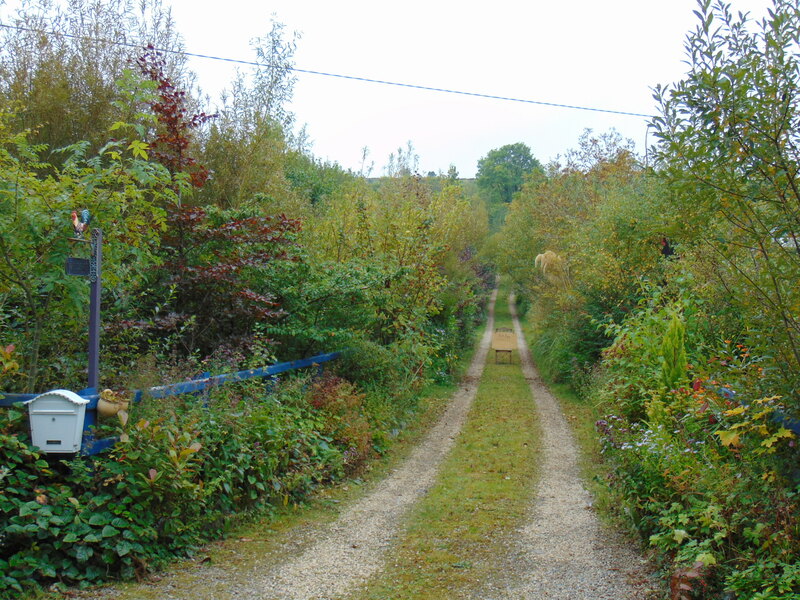 Autumn 2015…over 1,000 trees and hundreds of shrubs later. The back of the cottage fences off with barbed wire and ridden with rushes. Now with a wooden barn attached to the gable wall. From further back, same view 2014. The other side of the barbed wire, abused land, wet and rushy. Looking in the same direction in 2014. The view from the front of the cottage. 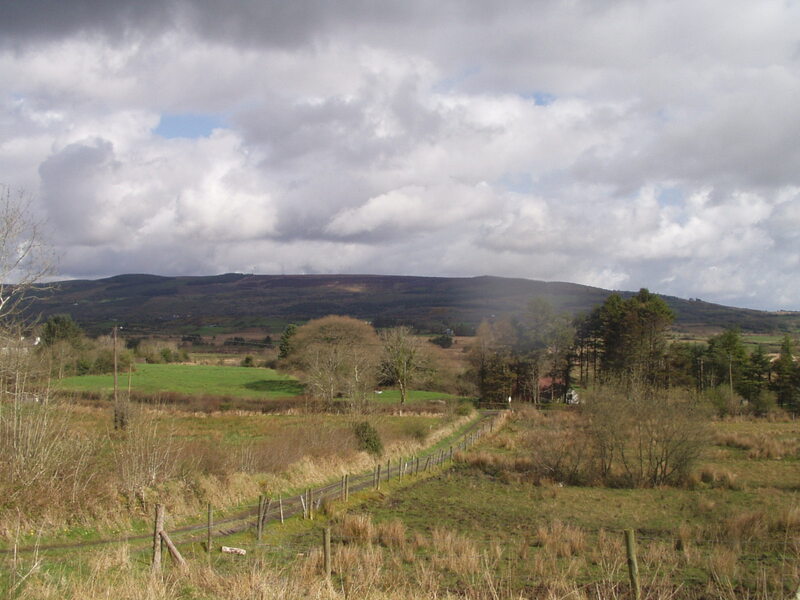 Looking east to where the orchards and poly-tunnel are now. 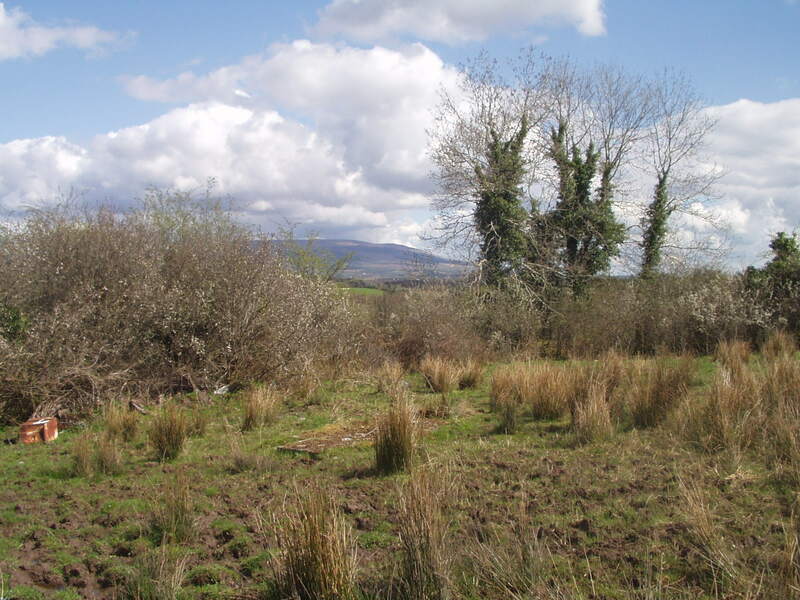 Cutting back the rushes before planting. Same view, but a little closer to the cottage. The front, with the old concrete block porch…too small and very cold! Same view…Wooden porch replaces the concrete one. 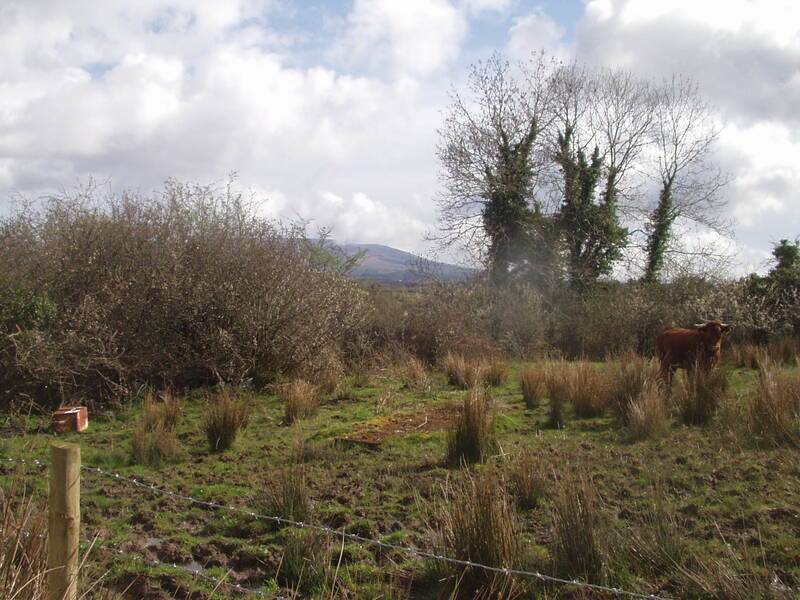 Another view of the east garden with an angry-looking cow behind dreadful barbed wire! Hard to believe it’s the same view! 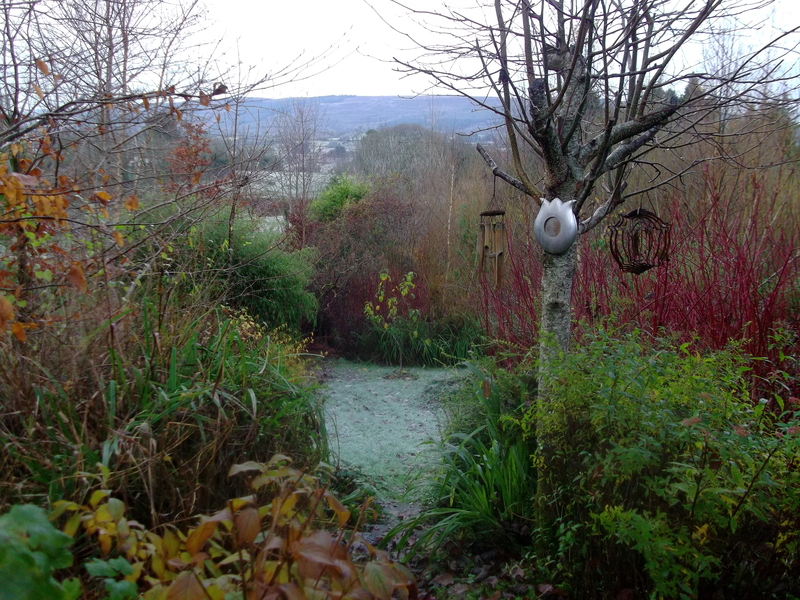 Looking down from the cottage into the gardens. Same view in Summer 2015. No chemicals used over the 11 years. No one but myself planting. Most trees and shrubs grown from seed or cuttings. 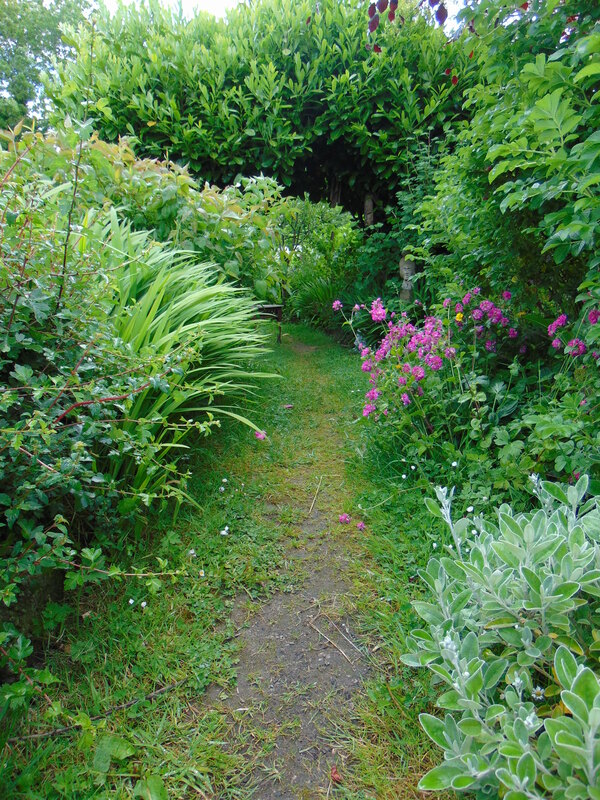 From the Bealtaine Cottage channel on Youtube…enjoy! Pingback: FREE JULIAN ASSANGE NOW! June 11, 2018, Almost Midnight Special :) ~J | 2012: What's the 'real' truth? Whenever I need inspiration or just want to view earthly beauty I come back to this page and am in awe by what you have done. What a transformation! I always come on your website to take inspiration from your wonderful garden, but I never came on this page before, unfortunately! And now I have to say that you did an amazing job with your land, very impressive. I live near Kilkee, Co Clare and my land is very wet and rushy at this moment and I’m trying to understand how did you proceed at the beginning of this huge transformation. I can’t walk on my land because it’s too wet and I compress the ground making it very hard after. Do you have any suggestion how to start? Thank you very much for you help! My first book is very informative. See the link at the top of the website. Your beautiful forest gardens are an inspiration to all. Thank you for sharing the beauty and abundance. Your videos inspire me to also want to plant for the bees and birds. I have a question about the Cotoneaster you show in the videos that are loaded with flowers and berries for the birds and bees. I found that there are many varieties of Cotoneaster. These include short varieties like Herringbone (Contoneaster horizontalis) that grow to 2′, and tall varieties like Hollyberry (Cotoneaster bullatus) that grow to 12′. Which variety are the beautiful Cotoneasters that you show so often in your videos, that are so pretty and provides the food for bees and birds? Both the tall and the herringbone. thank you for someone finally giving me the botanical name of cotoneaster – there are tons of different varieties and nurseries like to know exactly what we are selling? thank you to whoever gave that answer. very much – i have been trying to figure it out for a year. I found your blog after watching your videos on youtube. My Goddess you have been very busy planting all that you find your walks. 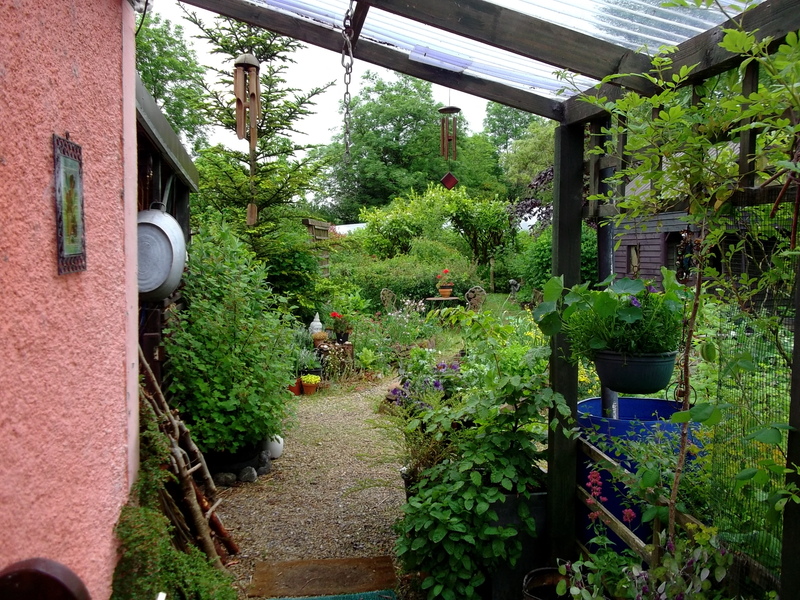 I am in love with the wonderful transformation your home has seen, from one Permie to another Permie your garden is so magical and inspirational. Keep up the wonderful work you are doing its lovely to witness and behold for oneself. Inspirationally heart warming Colette, more power to you. There are not enough words to express what you’ve accomplished. I’ve been watching on Youtube for the latest videos and lately returning to the blog as well. Since 1995 I’ve traveled to Ireland about 25 times, mostly with my husband but also with friends and family. It was our hope to live in Ireland for one year and document our experience but the birth of our daughter’s son changed our plans. We didn’t want to miss out that first year. Now I help take care of this special little guy! Life happens for a reason, but we still travel to Ireland whenever we can and we’ve been everywhere in that beautiful country but our favorite place seems to be the southwest. We also love Co. Clare. Would have been wonderful to meet you but I understand needing you own time. Love and blessings to you. It is a blessed place…and we co-create blessed places wherever we call home, for Mother Earth is always with us. So beautiful to see the rebirth of your land ! The birds song so pretty they honor you because you gave your all to give them a home ! Hello Colette! My name is Dan, I’m from Boston Massachusettes. I am a big fan of your youtube channel! I watch it when I am feeling down and it cheers me up! Your garden is beautiful and your perspective is even more so. Im writing to you because ny family and I are visiting Ireland, we are currently in Killybegs just outside Donegal. I would love to visit you on our trip if you are close by! We are headed to Belfast tomorrow. Im not sure where you are located. I will leave ny name and email, if you could get back to me and are close to our route I would greatly enjoy meeting you. You’ve cheered me up on many occasions and I never thought Id get the opportunity to meet you. I hope this message finds you well. If i dont get to visit i hope all is well and I admire your work in permaculture! Your place is my dream home! Thanks for your great work and videos and i wish you the best. I hope to meet you! Email me if my family and I can stop by tomorrow. Thanks again! I searched my email, but could not find any mail from you. 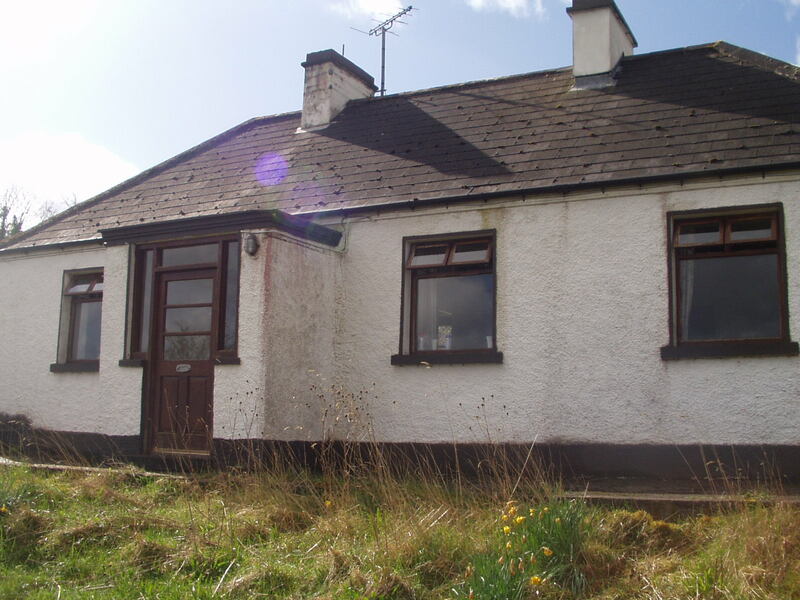 As you can imagine, I am inundated with requests to visit Bealtaine Cottage. Sadly I have to turn all down, due to the demands on my time. I’m sorry to not be in a position to welcome visitors, but I wish you a wonderful stay in Ireland and a continuing happy holiday. You’ve had amazing success in reviving your land. It’s an inspiration for those of us just getting started, and a reminder that it can’t happen overnight. I’m just getting started on my little .8 acre lot, and it’s great to be able to see where the path can lead. LOve to look this site for inspiration and a bit of peace, I may not be able to emulate your cottage but I can find some great ideas to move in that direction. Absolutely beautiful garden. Quite an inspiration, well done. What an amazing transformation.. Beautiful.. A woman after my own heart.. Thank you on behalf of Mother Nature and our Earth Mother.. I have just sat and watched the walk through your beautiful land, relaxing into the sound of the bird song and I am truly calm. 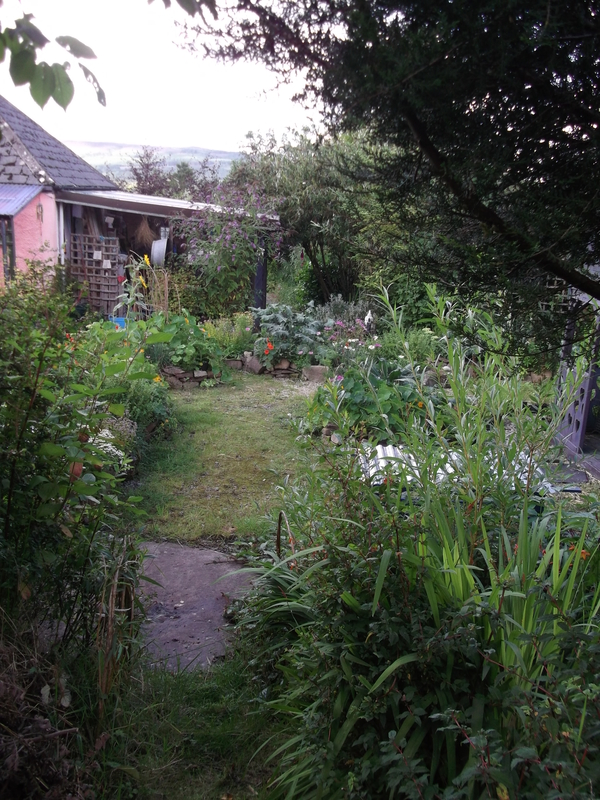 We have been on our little patch of a North Wales hillside for a couple of years now and after working on the house and doing all the building work to install garages and a workshop for my Lovely Hubby, while simultaneously beginning a veggie patch and erecting poly and net tunnels for me, the much more green fingered one. Now it is the time to soften all the edges and let our land merge with our woodland, which we are only now starting to tame slightly around the edges. Watching your videos is inspiring me to continue …. but at a slower pace. one that allows me to see what the land wants from us rather than just the other way around. You are on the right path, for the land will guide you…the beginning of a big adventure! As you say, don’t plan, just plant, and listen to Mother Earth. That’s how I do it, although my husband is my complete opposite in that respect and he must have lawn to mow, and as we have fenced off approximately three acres from the 109 we live on in Northern NSW, Australia, he has a lot of lawn to mow and he mows all the verges, in the interests of safety. The grass does grow incredibly long here in Australia if left. So I have bagged areas of the lawn and planted trees and shrubs in groups and mulched, mulched and mulched again. This Australian land gobbles it up. 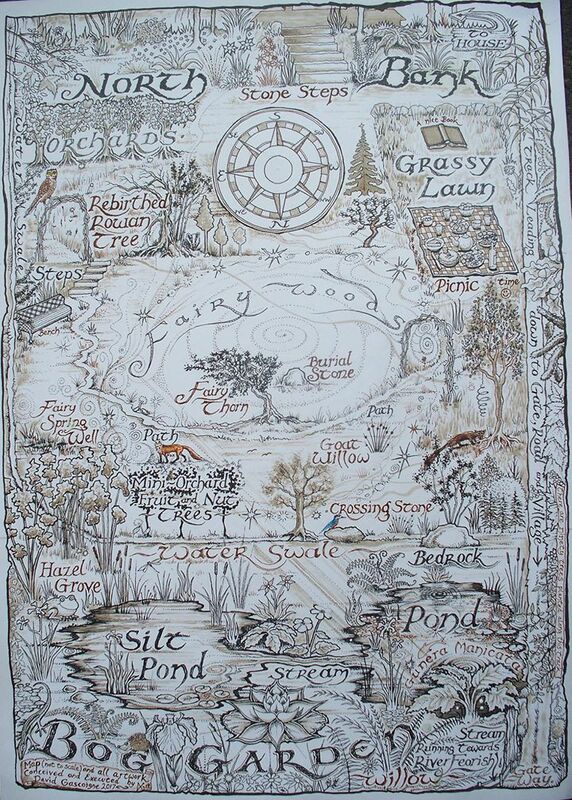 So I have in my head visions of woodlands and then clearings and this started 24 years ago and it has worked. I keep adding more and more and suggesting improvements to my husband and he now accepts my suggestions as I only take little bits here and there, but now have quite of lot of that grass area with trees, shrubs, flowers, veggies, chooks (chickens) and lots of native birds are nesting and singing their lovely songs to us every day. 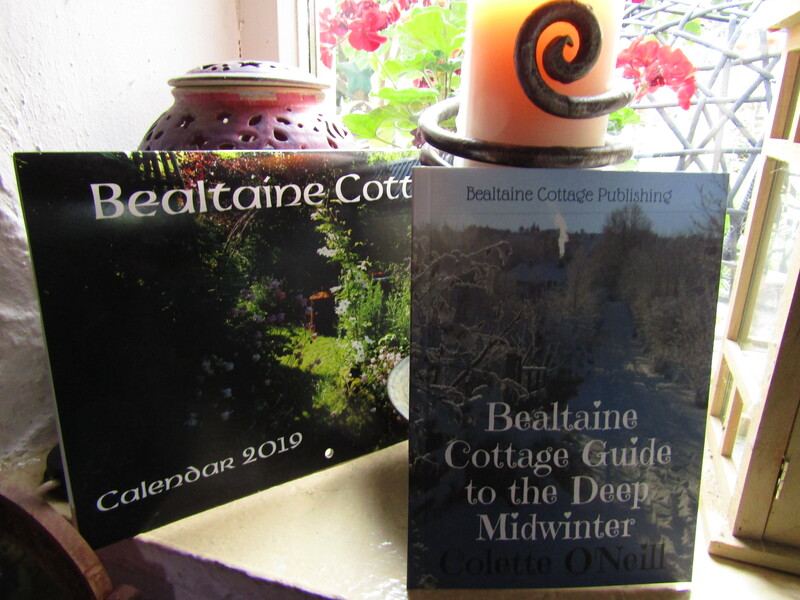 But, I must have my fix of Bealtaine Cottage each week and I share it with my Facebook friends as this should go out into the world. Thank you again Colette. You have created an Ark for Nature, which will help to manifest the future world. oh I love reading this! sometimes, I just turn my computer on and read the blog, look at the photos and am inspired. This is my plan for my own small yard. I don’t have 3 acres, but I have a large block that I am slowly bringing to life. thankyou for sharing so generously Colette! I have a MIRACLE in my front yard! (And I GUESS it is permaculture?) 5 or 6 years ago I planted a peach tree in the flower bed which I always mulch with leaves. And this year it is BURSTING with peaches! SO MANY peaches that the branches were hanging like a willow tree. I have supplied most of the neighborhood(sometimes with refills), as well as myself and there are still a good many peaches on the tree! I have NEVER used chemicals of any kind -in fact I never even watered it. But I consistently gather bagged leaves from curbside each year and dump them in that bed for mulch. Never plowed or tilled or anything. And the peaches are very GOOD! It’s the first time I’ve ever accomplished anything like that. Sounds so very wonderful! Congratulations…natural fertilizer is always the best! 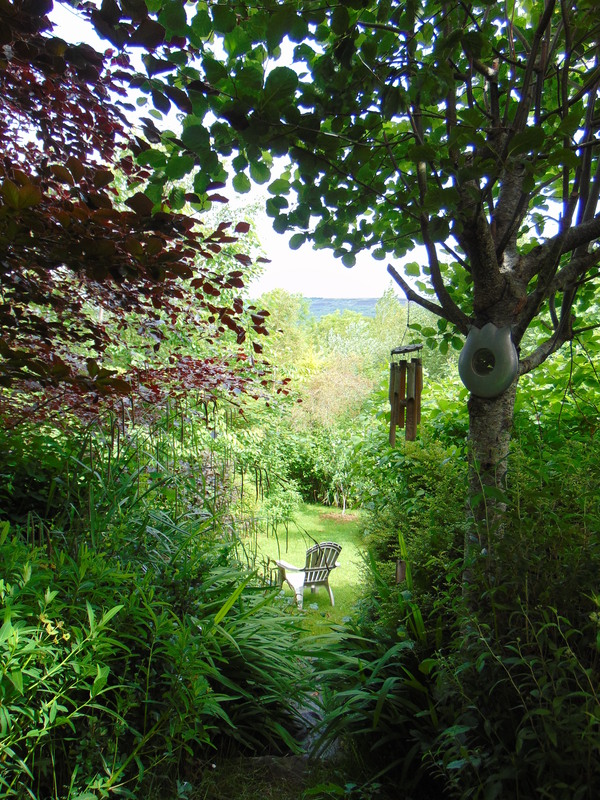 I have a handkerchief size garden in the south east of Ireland and had no contact with the earth until moving here in2007, when my little sanctuary began to take shape. Illness intervened but I will get a videoand send it over. My ideas appear to be similar to yours in lots of ways. A perfumed garden kept bugging me and that is what I have though it’s more of a wilderness. I try to keep the weeds down as best I can. My ducks disappeared overnight. My pond is coming back to life again and my dogs love the nooks and crañnies. I adore what you have done and check in daily for my fix, so thank you. It is a wonderful transformation of that ugly looking land into something which is worthwhile ! ANd i cant believe you saying that you have done it all alone ! Indeed it is a marvelous work and i appreciate your hardworking. i came to know of permaculture only recently in this month and has been tracking almost all videos in youtube. 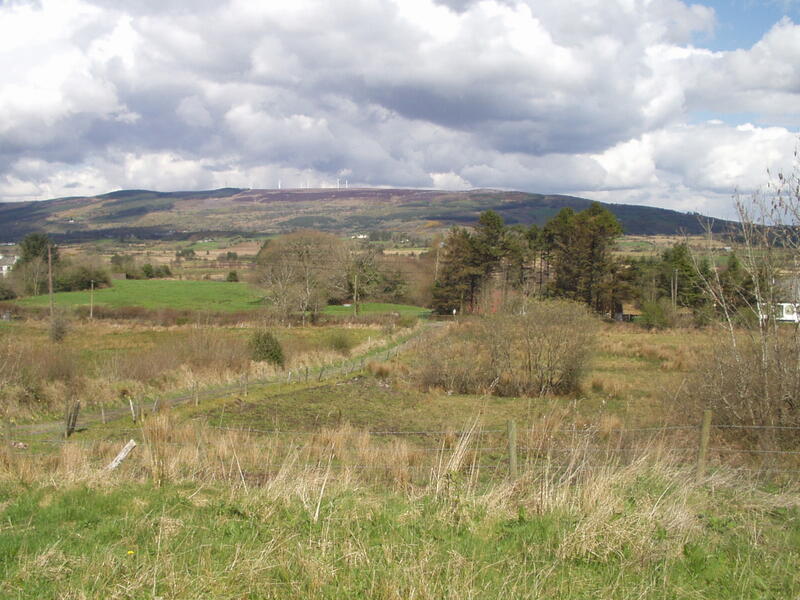 I think if time and energy permits, you should expand the land from 3 acres to many more. The farmers around me will not sell land, so I cannot expand unfortunately. My husband and I are in such awe of your magical gardens. Last August we completed a PDC and less than a year later we have turned or lives right side up by moving out of the crowded suburbs/city to Vermont. 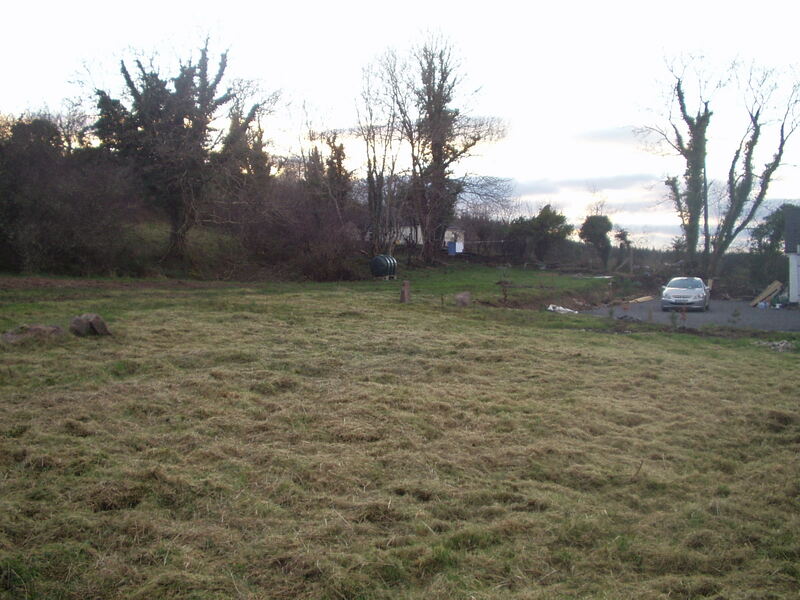 We are in the process of closing on a property that looks eerily similar to yours before permaculture and we can only aspire to transform it into something as beautiful as Bealtaine. We just have no idea where or how to start! Any advice is appreciated, and thanks for being inspiration to all! Listen to the Earth and plant like your life depends upon it,for it does. Be intuitive…don’t think too much. Oh how I wish that was easier said than done. My brain doesn’t shut off, lol. I came across your site via the Permaculture News site and now saw this article with even more photos + have been browsing around your whole site by now. I love to see what you have managed to build up with your own bare hands! I have a similar dream for my future – to live more off the land and less off working for others in front of a computer. Hopefully I’ll have a property in some years that I can transform into something productive and beautiful that respects nature. Seeing what you managed to do with such a barren and empty place is truly an inspiration! A wonderful and utterly inspirational transformation where your continuous ‘conversation’ with ‘Mother Nature’ is SO evident ! In a very different climate of hot dry summers and warmer winters in the SW of Western Australia we have fairly recently begun such an adventure ourselves on a 1.6 acre overgrazed weedy piece of land. There is an old netted and neglected orchard (apricots, apples, plums, peaches, avocadoes etc) and a small rock building we are currently renovating to stay in sometimes – but otherwise just bare land with pioneer weeds. So far we have sheet-mulched and planted trees on the periphery, added some paths and a driveway but all else ahead of us. Just being able to see what you have achieved – and in so much detail – is so valuable. 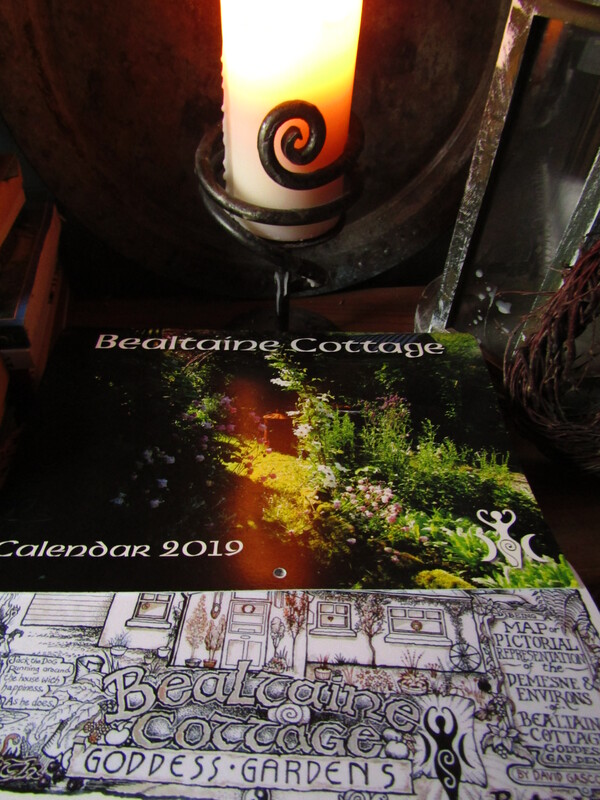 Hope we can visit you at Bealtaine Cottage one day – what a treat that would be !! 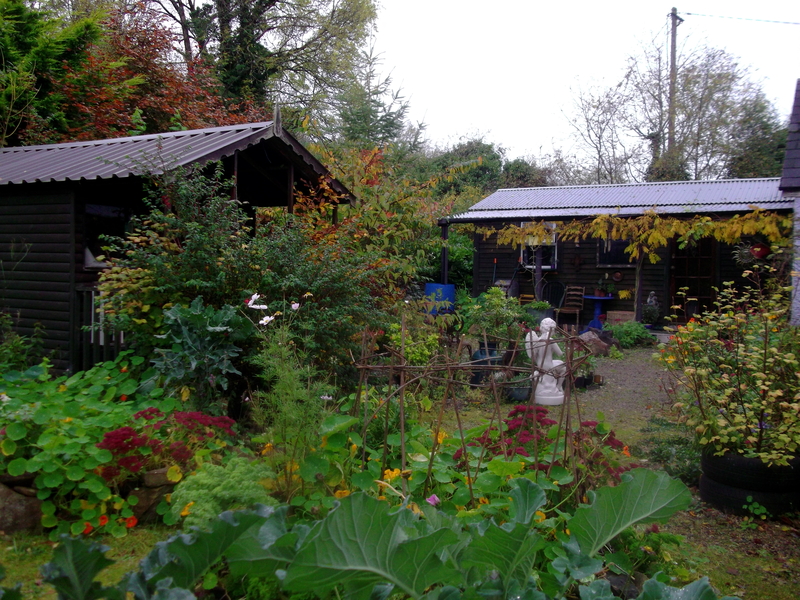 And right in the home of the Permaculture Evolution…fantastic, it sounds wonderful! 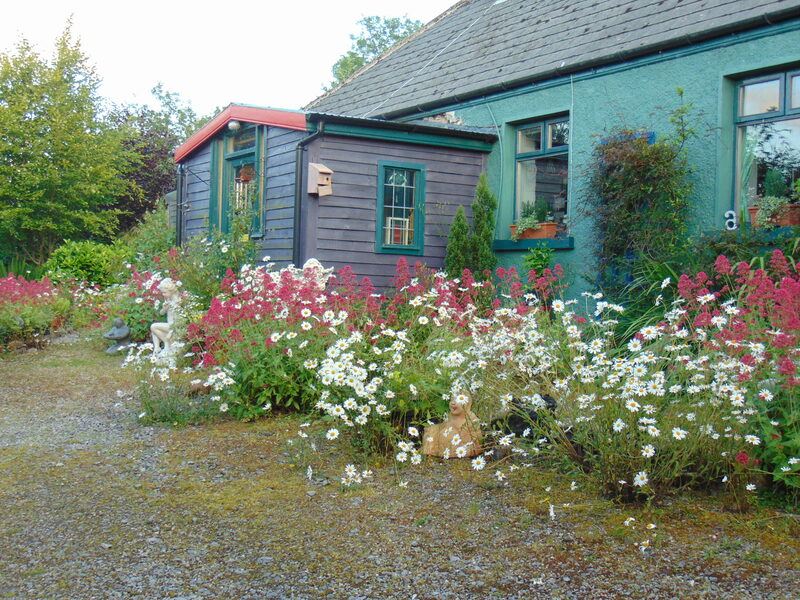 Hello, my name is Sandy and have only just discovered Beltaine Cottage and am in awe about what you have achieved. 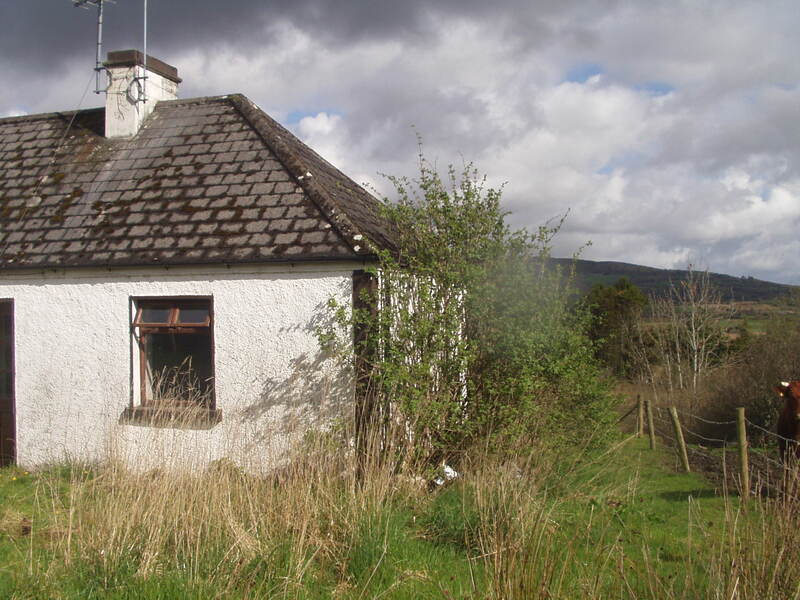 I have a small cottage in Connemara,which I hope to move into next summer and apart fro the building work for an extension I am at a real loss about where to start. with the land. 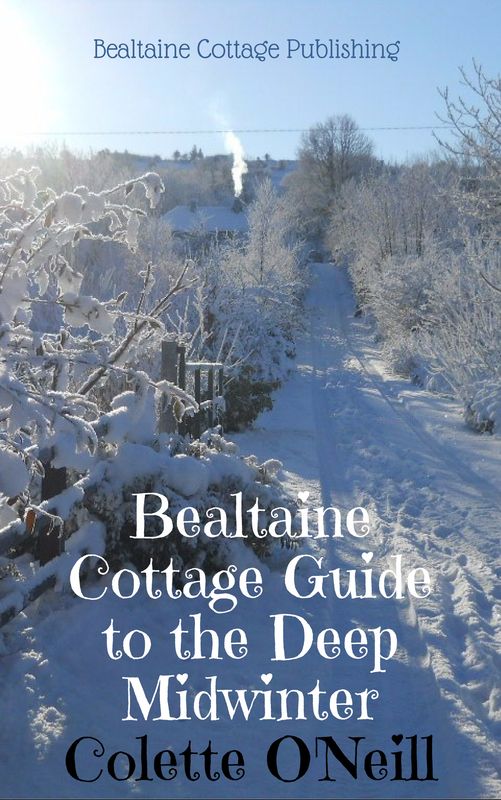 Reading about Beltaine Cottage is so inspirational, so thank you . I recall being in a similar quandary…until listening to my inner voice that said, simply, plant…plant…plant! These pictures of transformation from bleak grey barren land to a living wonderland of color and beauty and diversity dazzle the imagination and restore ones sense of hope. I am hoping that in your book you will discuss at some length how it all came together. I am still working my way through your videos from oldest to newest to follow the journey. Ive not yet learned how to list your blogs from oldest to newest. But I see some new links on your website so I will find it all in time. Did you have a vision from the beginning that you put down on paper as a plan? Did you sit at your kitchen table with sketches of your vision over your morning tea? Or did this all evolve with only your soul and nature to guide you. Were your plant choices deliberate or did you use whatever came your way in the form of gift and happenstance or nursery sales and foraging? I do hope you will include a plant and tree list in your book if possible in the index with photos. And the benefits of each plant to the over all goodness for the land. My garden has had little mini plans in the past but few ever stayed. Mostly nature took over and now my garden is very wild. I figured that nature was doing a better job than I could with the time I had working full time and not a lot of money to add diversity until the last few years. I am slowly replacing some of the volunteers with fruit trees and other diversity. But I never remove anything before I am ready to replace it. So that the birds and other tiny insects are not left with a bald spot in their world. But I must say from the beginning here it was never human planning that caused me to plant a tree or plant in a certain place. It was just some little inner voice that said ‘oh that should go here’ and I followed it. In some cases it might have been a mistake but mostly I think it has all worked out over the years when not second guessed. The garden has always had a sense of life all its own from the beginning. The hardest part is to let go of what we think is supposed to be and allow nature to show us. In some cases we have to not worry about what the neighbors think. Especially when you live in the suburbs. Luckily life has a way of catching up as now our government agencies are encouraging us to save our fallen leaves and allow them to remain on the ground as mulch for water conservation. Where before it was thought untidy to do so. Lawns are now thought to be a waste where before they were a show case. So my eccentricity of the past for not conforming has now become the norm. Time has validated what the little inner voice has said all along. Follow the ways of the forest. All my visions were kept as food for my soul only, as all the work was carried out by myself, alone. In this way the strength of the design grew from me and Mother Earth, through daily communion with Her alone. Your lovely forest garden is a wonderland of beauty and harmony. 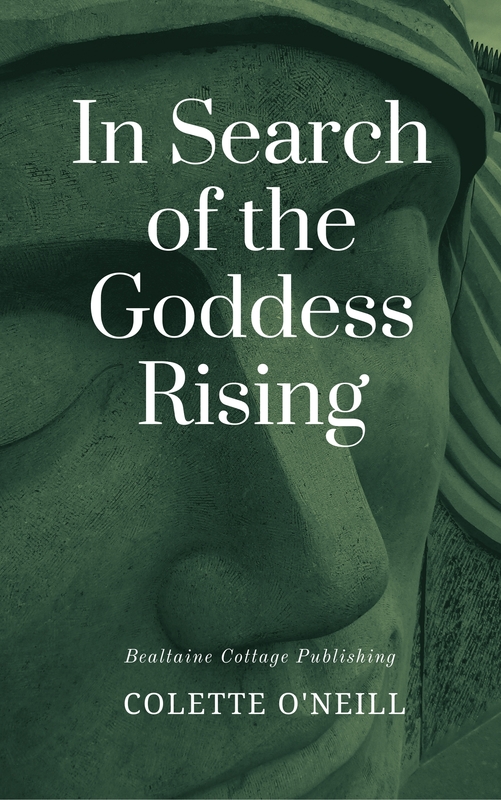 A showcase of what can and will happen when we reconnect with Mother Earth. That is your message to us – the importance of reconnecting and listening to Mother Earth. 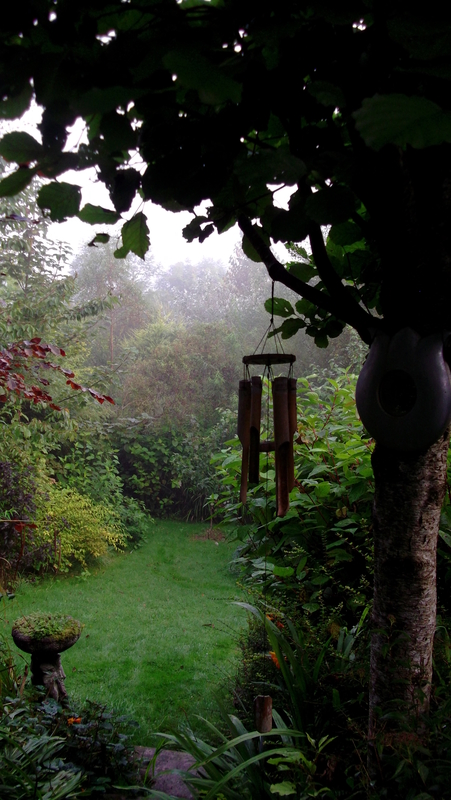 A spiritual journey and not just a gardening methodology. Therefor each persons journey will be unique and heaven blessed. Simply beautiful! Thank you for sharing! Always inspiring to see the before and after pics. Can’t wait to get outside again tomorrow! long may the Indian summer continue! I never tire of seeing around your place. I have longed for a similar place for what feels like forever now. Alas it has not been in the cards for us right now. So I had resolved to make my little place in the city as much of an Eden as I possibly can. You and many other permaculture teachers have been huge inspirations. But your site is the one I frequent. I feel such a connection from so far away. Must be the Irish Roots. The transformation of your place is inspiration to many, thank you for putting it out there for us to see and learn. Yes, you have! I’ve been on this journey slowly for quite a few years now but seeing what you’ve been able to accomplish gives me hope that one day I’ll get there. 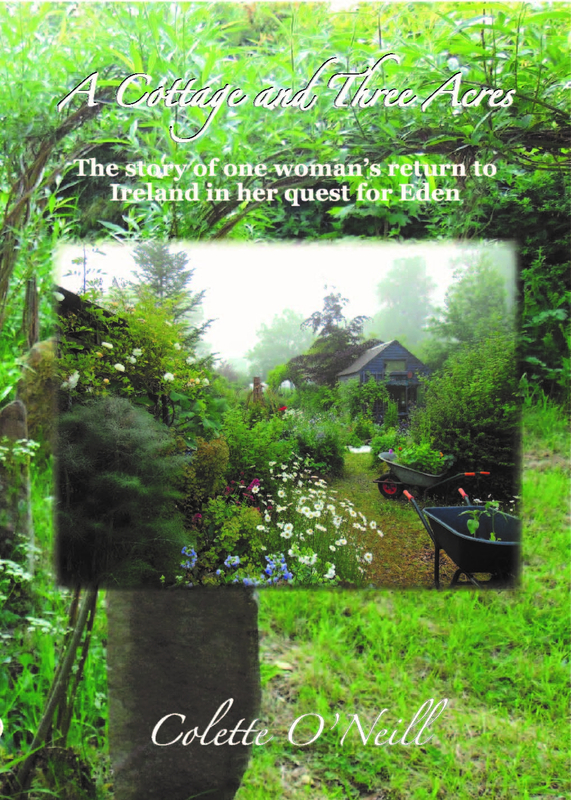 As I’ve said before, you have totally transformed Bealtaine into an Eden. 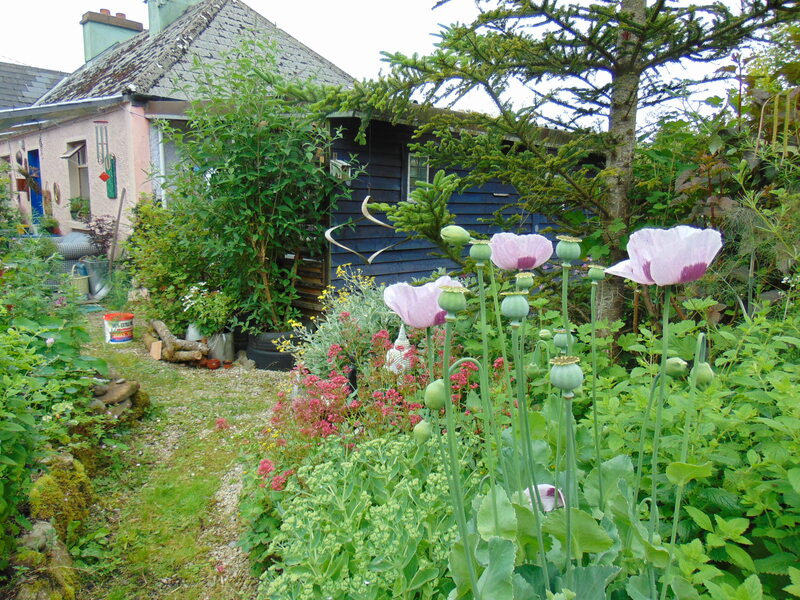 Both the cottage and the gardens reflect the love you have poured into them. You have blessed the farm and it is blessing you in return. Colette, I would love to see you comment from time to time about how you manage all the work there is to do. I have 4 horses to care for on 75 acres, most of which is wilderness. 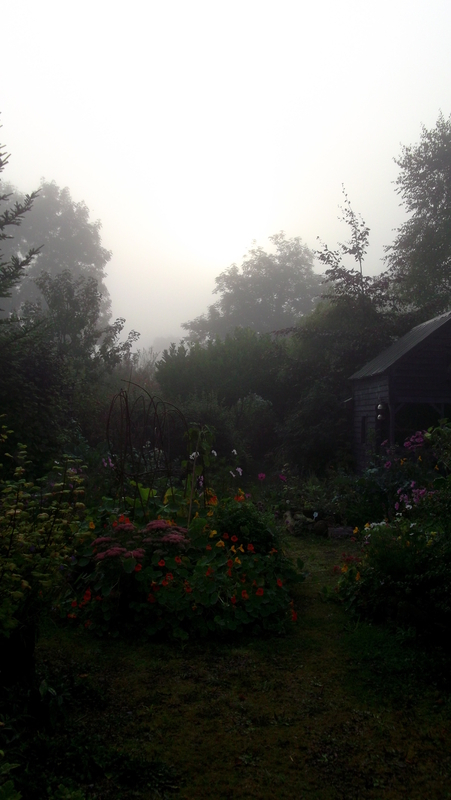 We make incredible compost from the horse manure and shavings and grow wonderful gardens. I just can’t keep up with it all and that makes it hard to enjoy the beauty and joy. So, my question is—-how to you manage (literally and in your head) the endless work. Thanks! In short, I practice Permaculture. I shall talk about management in today’s podcast, especially for you! I will never tire of seeing these before and after photos, marvelous what you have allowed to happen, makes the heart sing. I’m inspired :o) Thank you for the transformation hope. I am looking here and thinking how different life for me was on 2004 , it was the year I discovered France and how I loved it there and also the year I decided to go back to college which I also loved very much but a little voice inside my head is also saying if I had embarked on the journey with you here how different my little home would look. As it is these pics here are similar to my home now and many times I tried to clear the area around the house and plant but unfortunately consistency was not part of me I suppose , reading your blog here is helping me enormously to plan a more constant effort to create a little oasis here like the one I have in my head for the land around me and I look forward to reading more and more of your wonderful blog to find help in achieving my dream. Thank you so much for sharing your journey; it is truly inspirational .